The rescheduled Grand Opening Celebration for the Aloha Community Library that was planned for Saturday, January 14, 2017 from 11:00am-2:00pm has been postponed for a second time due to the record snow storm that has impacted the local community this week. Once the snow and ice clears the library plans to return to their regular schedule. The newly expanded Aloha Community Library is located at 17455 SW Farmington Road, Suite 26A in Aloha. The Library phone number did not change in the move, it remains 503-259-0185. 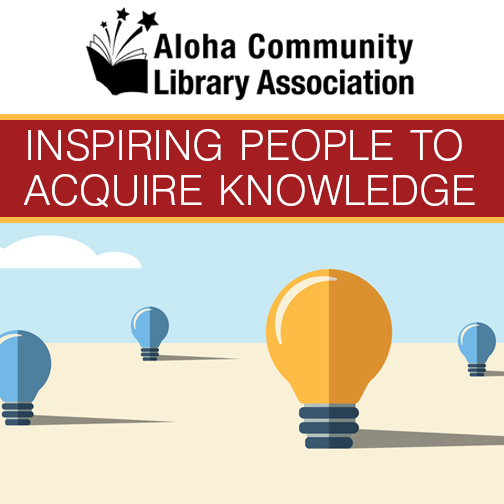 For questions please email the Aloha Community Library. 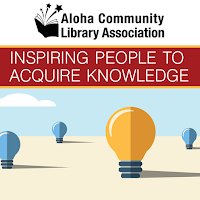 WCCLS will post future details on the Aloha Community Library plans for a community celebration of their grand opening activities.